We were happy with all the dishes we had that night. 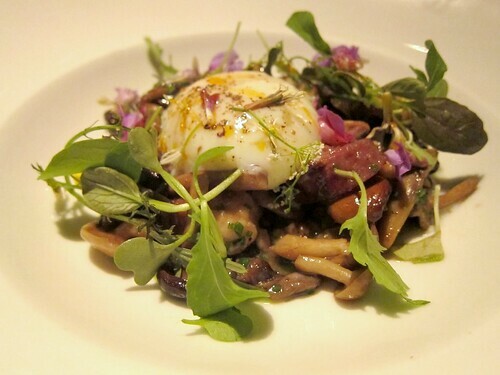 One of my favorites was the the earthy mushrooms pictured above, soaked in the yolk of the poached egg. 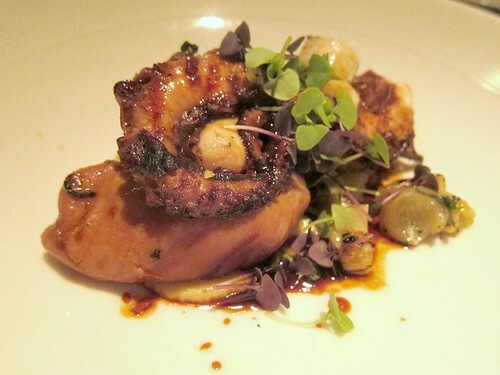 The texture of a nicely grilled, fresh octopus is perhaps one of my favorite. 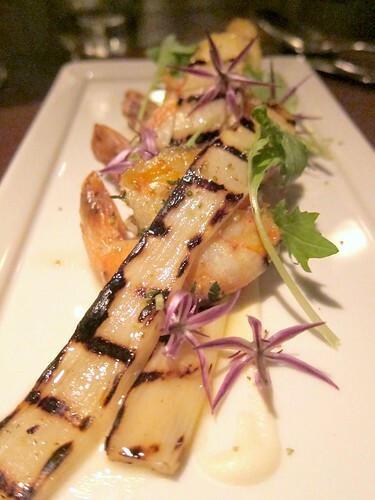 Tender yet chewy, with a slight charred flavor. 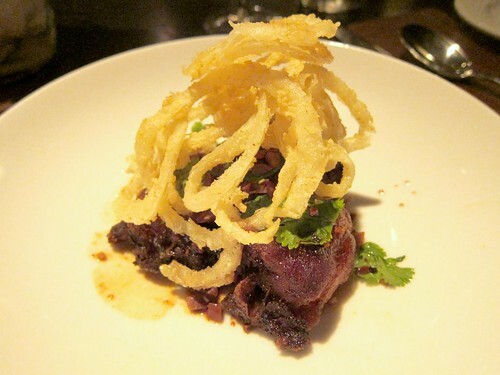 Tender pig's tail, crispy fried edges, and the umami of fish sauce. 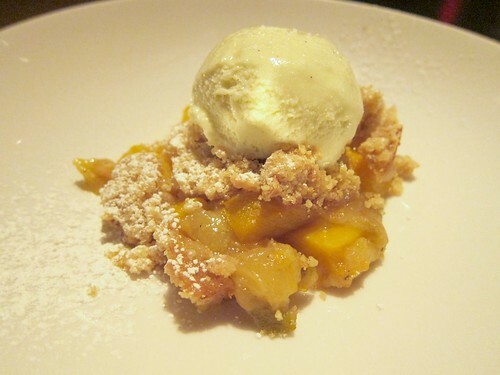 The dessert is a simple peach crisp (or is it crumble?) that was absolutely amazing. This was one of the best peach crisps I had in recent memory. When we complimented the dessert, our waitress told us that it was actually her boyfriend's recipe. They both worked at Craigie at the time but were moving to Portland soon - best of luck to them! 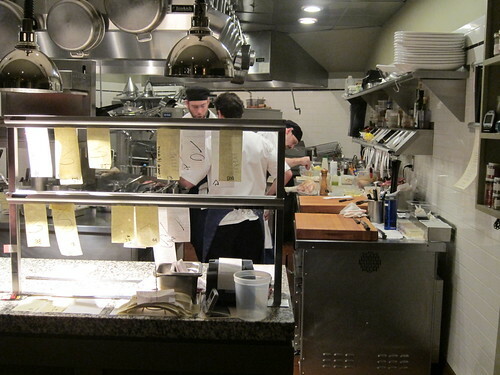 Craigie on Main's seasonal tasting menu is certainly on my list for my next Boston trip, whenever that may be. 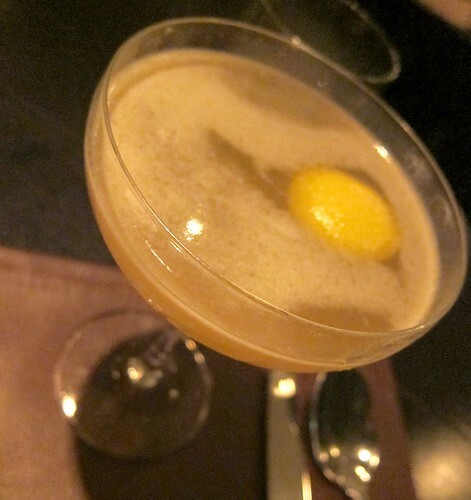 Here's my take home message: Come for dinner, stay for drinks.